The judge in the Bill Cosby sexual assault trial has ruled that the names of the jurors can be released. 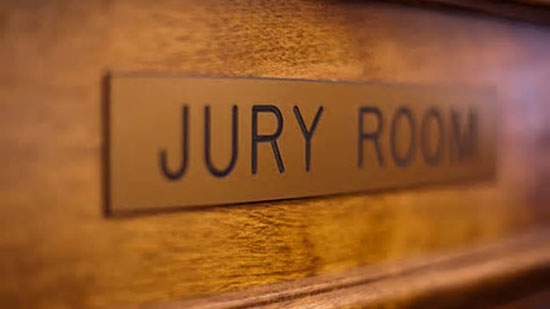 The trial ended in a mistrial on Saturday after the panel of 12 jurors deliberated for more than 52 hours over 6 days and failed to reach a verdict on 3 counts. Judge Steven O'Neill granted news outlets' requests that the names be made public in the interest of transparency. O'Neill made a condition that jurors may not discuss what another juror said during deliberations when talking to the media. The prosecution and defense did not want the names released. They argued that it would make it harder to select a new jury for the second trial. Judge O'Neill hopes to hold the retrial in four months. Authorities in Gloucester County, New Jersey, have ruled the death of a woman found in her swimming pool over the weekend a homicide. 47-year-old Michelle Long was found dead in her backyard pool on Forrest Court in Woolwich Township on Saturday. It was determined she died of blunt force trauma. It is not clear how long she was in the water before her body was discovered. Gloucester County Prosecutor Sean Dalton issued the following statement: "The investigation into the Woolwich homicide is progressing. This investigation is in the early stages and relevant details cannot be released at the present time. However, all available information indicates there is no immediate safety concern for area residents." Pennsylvania State Police and the Bomb Squad are investigating possible explosives at a home in Bucks County. Hazardous chemicals were found at the home on the 8700 block of Easton Road in Ottsville around 2 p.m. Tuesday. Controlled explosions could be heard from the property overnight Tuesday and early Wednesday. Authorities first went to the home to serve a mental health commitment warrant on a 70-year-old man and found the explosives and a large number of weapons and ammunition. Parts of Easton Road were shut down and residents were asked to stay inside as the bomb experts performed their work.